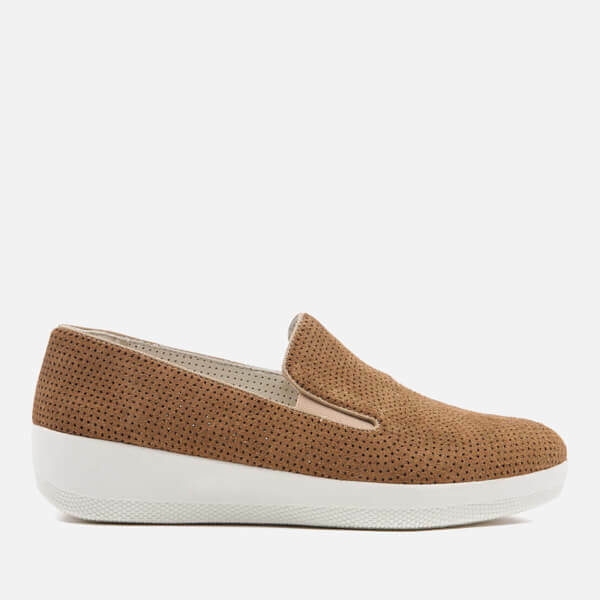 Women's slip-on trainers from Fitflop. Soft and flexible, the 'Superskate' sneakers are crafted with perforated nubuck uppers and feature elasticated detail for a foot-hugging fit. Biomechanically engineered, the ergonomic shoes are built upon a SupercomFF™ midsole, a lightweight and flexible base which diffuses areas of pressure with dual-density technology. Softly padded and lined in breathable leather, the trainers offer an average (width) fit and a slip-resistant rubber outsole. Upper: Nubuck. Lining: Leather. 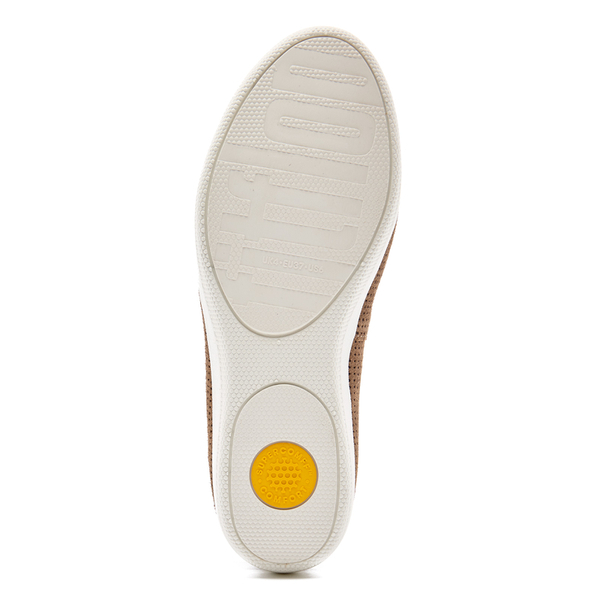 Sole: SupercomFF™. I've heard of this brand is famous for its comfort, well, I highly agree with that.